“I’m here!” is a very playful artwork by Kyoco Taniyama. 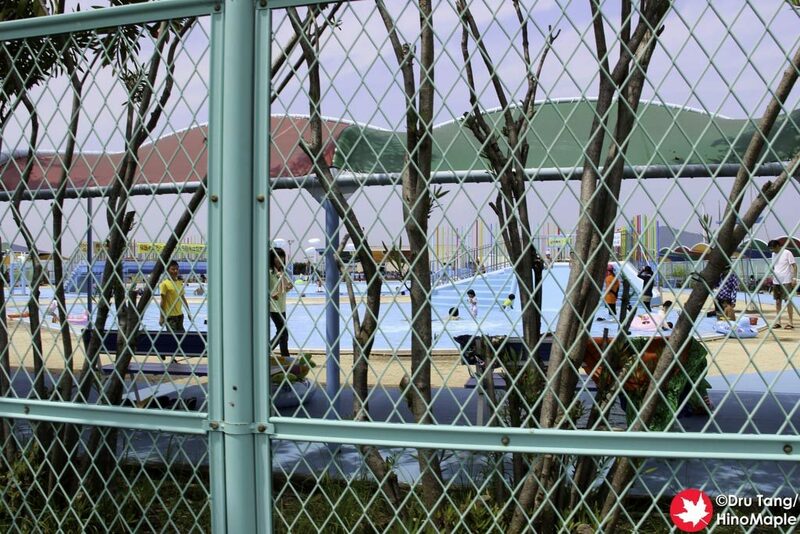 Kyoco Taniyama created “I’m here!” inside the Takamatsu City Pool. The pool is actually an outdoor pool and it is open in July and August only. While the pool may be closed most of the time you can still go and visit the artwork but you have to be a little sneaky to see it up close outside summer. 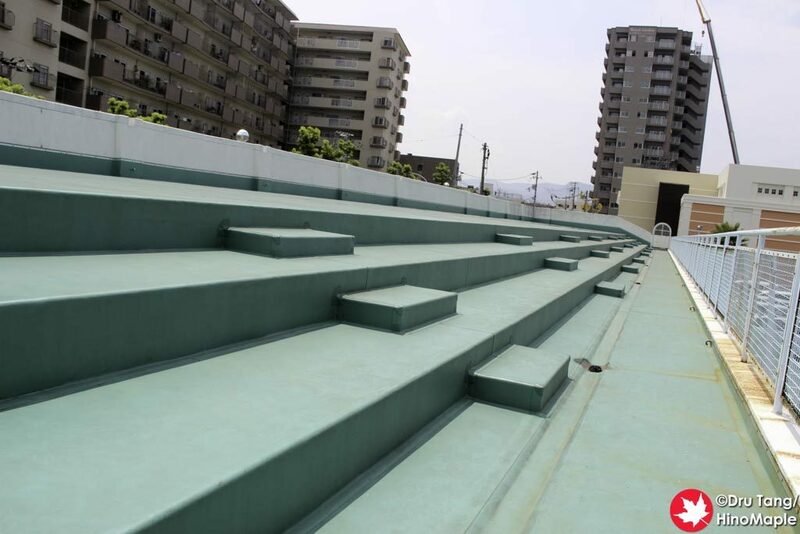 During the Triennale, the Setouchi Triennale organization opened up a spectator area near the pool. It was well marked and it was located on top of the main recreational building. While most people would head in, pay, and change in the building to go swimming, I headed upstairs to take a look at the artwork. Due to the location of “I’m here!”, no one was there. The city pool is actually pretty far from Takamatsu Station with very little in the area. It is nice to look at the area but honestly it was mostly a boring 10 minute walk in the scorching summer heat. “I’m here!” is actually really nice. Unfortunately I was unable to get up close to it or even take any photos of it because it is part of the pool at the Takamatsu City Pool. The vantage point above the administration building was very poor and photos were not allowed. There are also a lot of signs along the street telling you to not take photos of the pool area, so getting somewhat closer for photos was out of the question. I wasn’t willing to pay the admission (approx. 500 yen) for the pool just to get close to the artwork and I didn’t bring my swimming trunks to enjoy the pool either. 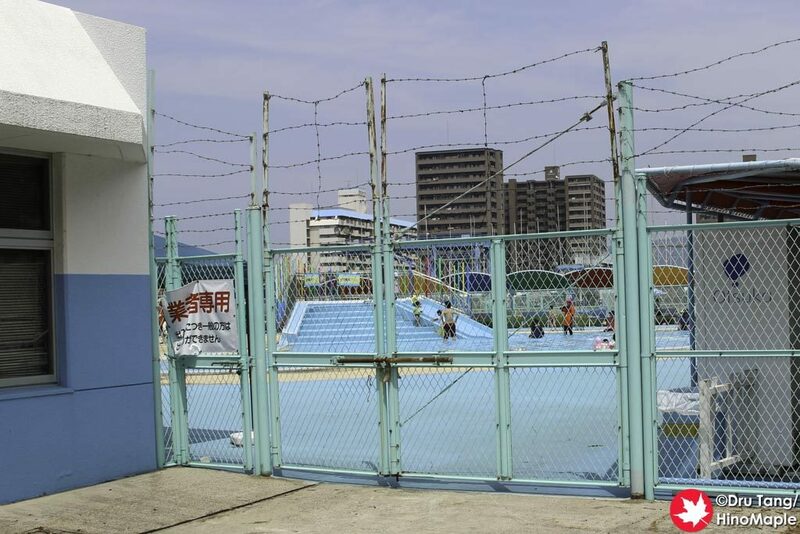 It was a bit of a waste to try to truly enjoy the artwork but I could imagine that if I lived in Takamatsu I may have tried to visit the pool at least once to enjoy it in how it was meant to be enjoyed. The art by Kyoco Taniyama integrates with the entire pool very well. The main artwork is a bridge over the pool that has several colourful bars. It looked like a nice rainbow and the kids seemed to just ignore it. There are also strange orbs on sticks that the kids did enjoy a lot more. It is really difficult to explain and you must visit other websites to see what it really looks like. There are also a lot of paintings within the pool that are unfortunately not viewable from the vantage point. I can only imagine what it looks like up close but hopefully you will have better luck than me. 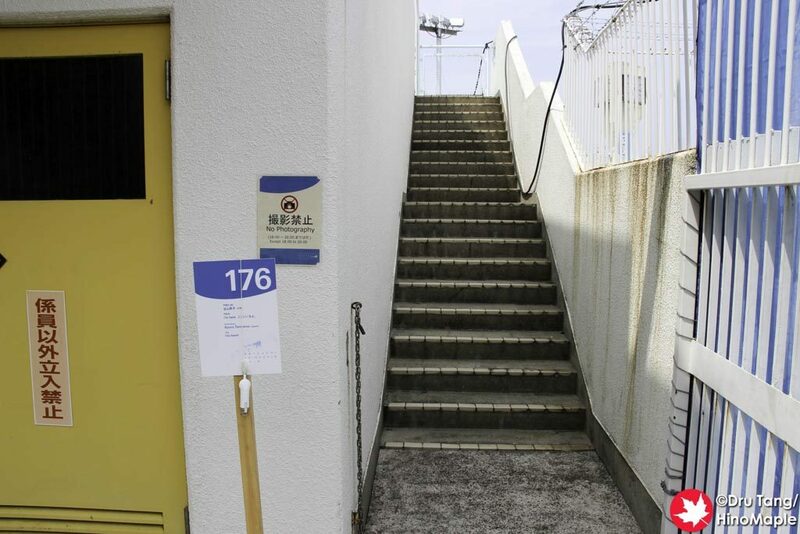 This entry was posted in Setouchi Triennale and tagged I'm here!, japan, Kyoco Taniyama, Setouchi Triennale, Takamatsu by Dru. Bookmark the permalink. Are you sure you didn’t get lost? It’s pretty close to the JR station (I’d say 5 minutes). Maybe the heat made it feel further away. Yes, I liked how the pool looked thanks to Kyoco Taniyama’s work, but I never went inside, I’m not a big fan of public pools, especially when the sea is nearby. While the artwork stayed for quite a while, it’s gone now, and the pool is back to its normal self. I wish Taniyama-san had a new artwork next year, but I don’t think she does unfortunately (she had one in 2010 on Ogijima also with water). Yes, the heat probably did make it feel further away, but I think I was counting from the port. Maybe I forgot to factor in the extra walk, or I was walking slowly due to the heat. Not too sure either way. So the artwork is gone? That’s too bad. I need to update the title and records a bit. Just wondering, will the artwork be back this year? The official site lists it as being part of the Triennale. Maybe they took it down for repairs? Yes, it’s listed as being back this year. So I assume she’ll redo it before summer. Yes, it probably got damaged, some outdoor work doesn’t always age well. Also, Sea Vine will be back. Still not sure if it’s the same or if it’ll be redone.